Hydrocephalus is a condition in which excess cerebrospinal fluid (CSF) causes the brain to swell. Cerebral Spinal Fluid (CSF) Shunts can alleviate this condition and other similar conditions by draining the fluid from the brain into the rest of the body. In this procedure, the doctor places a catheter into the brain, a catheter into another part of body, and allows fluid to flow out from the brain. Hydrocephalus patients can also be treated with ventriculostomy, which involves drilling a small hole into the third ventricle in the brain to let fluid drain out of the brain. Dr. Aditya Gupta is highly knowledgeable and skillful neurosurgeon presently practicing in the World's renowned Artemis Hospital, Gurgaon. 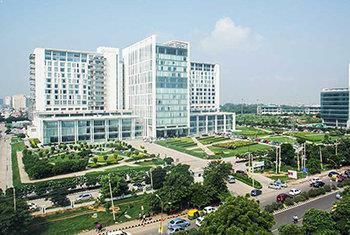 Cofounded the Institute of Neurosciences at Medanta Hospital. A graduate and topper from All India Institute of Medical Sciences (AIIMS), Dr. Aditya Gupta is an accomplished and experienced neurosurgeon. As a student, resident and later Faculty at AIIMS, he has won several awards, such as the prestigious Sir Dorabji Tata Award. 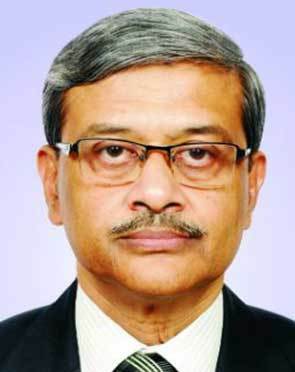 He was Associate Professor of Neurosurgery at AIIMS till late 2009. Dr. Sandeep Vaishya is renowned Neurosurgeon in India with more than 17 years of experience in the field having worked with some of the top institution and hospitals of India.He is an awardee of the Herbert Krause Medal and the Sundt Fellowship at Mayo Clinic, USA. He has worked as a faculty in the Neurosurgery Department at AIIMS. He is one of the foremost surgeons in the world for brachial plexus Injuries and in South Asia for Gamma Knife Surgery. He also specializes in Minimal Invasive and Image Guided Neurosurgery, Intracranial Tumour Surgery including skull base tumors, Functional Neurosurgery, Spinal Surgery, and Peripheral Nerve Surgery. 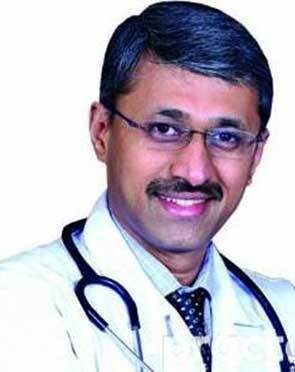 Dr. Anil Kansal is a leading neurosurgeon of India. 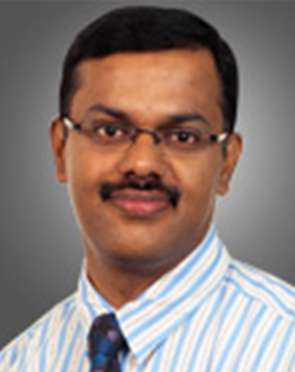 He is currently working as Head of Neuro Spine and Neurosurgery department at BLK Hospital in New Delhi. He has over 20 years of rich experience in his field. 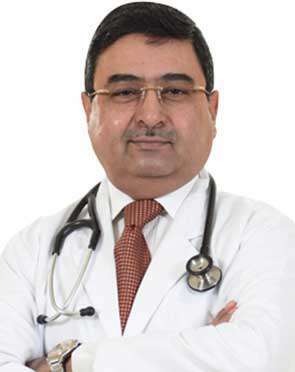 A very well-trained neuro and spine surgeon, Dr. Anil Kansal completed his MBBS in 1994, MS in General Surgery from KGMC in 1997. For further training in neurosurgery, he pursued his MCh in Neurosurgery from King George's Medical College (KGMC) in 2001. Dr. Rana Patir is an eminent Neurosurgeon of India with more than 23 years of experience in the field of advanced neurosurgery. He has been a teaching faculty at AIIMS and at Sir Ganga Ram Hospital, New Delhi. 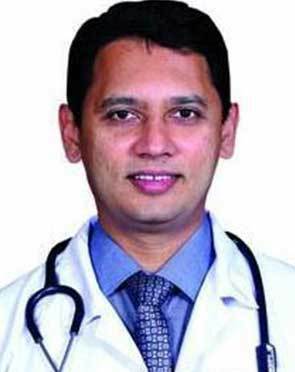 He is also a Professor of Neurosurgery at the Guwahati Medical College. He specializes in Minimal Invasive Brain and Spine Surgery, Skull Base Surgery, Neurovascular Surgery, Extra Cranial -Intracranial Bypass Surgery, Paediatric Neurosurgery and Epilepsy Surgery. He has more than 10,000 neurological procedures to his credit. 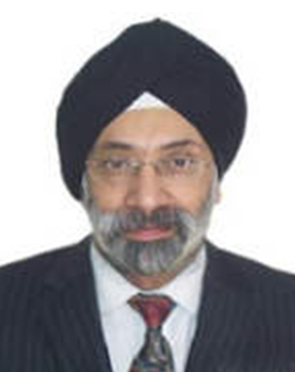 Dr. Karanjit Singh Narang is an accomplished neurosurgeon with more than 16 years of experience. He has been accredited for performing brain tumor surgeries with high-end technology system of BRAINSuite (intraoperative MRI) with advanced navigation, the first in Asia specific region, for best resection of the tumor. 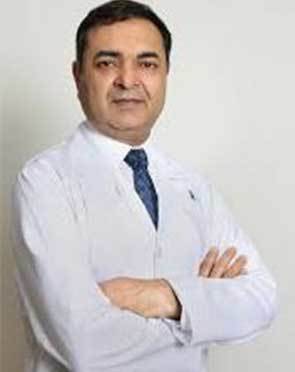 Dr. Karanjit is an accomplished neurologist and surgeon, who is skilled in performing a number of brain and spine surgeries like disc replacement surgery, endoscopic neurosurgery, endoscopic pituitary surgeries, complex skull base procedures (for Skull base tumors Pituitary Tumors, acoustic neuromas, meningiomas) and others. Recipient of awards like NABH quality Champion, owing to Dr. Narang's dedication in ensuring the highest quality care in healthcare organization. Used ALA dye for malignant brain tumors, one of the maximum numbers in the country. Experienced in using sophisticated technologies like BRAINSuite (intra operative MRI) with advanced navigation, which is the first in Asia specific region. Holds various scientific publications under his name in journals published in India as well as abroad and has presented in many significant conferences. Dr. Sudhir Dubey graduated from King Georges Medical College with Sir Rupkishan Das Gold Medal for final year MBBS class in 1995. He received his basic neurosurgical training from National Institute of Mental Health and Neurosciences. His cutting edge work on brain tumor was awarded internationally at Sydney, Australia in 2001. He received Silver Jubilee Award for best outgoing student in Neurosurgery, NIMHANS. Dr. Sudheer Kumar Tyagi is a leading Neurosurgeon in India, backed by more than 22 years of experience in the field of Neurosurgery. 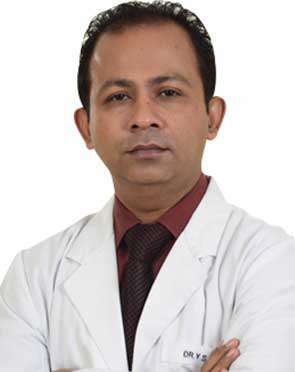 He is a highly skilled surgeon with educational qualification from renowned medical institutions of India and trained in specialized advance courses under reputed surgeons from internationally acclaimed institutions. Dr. Tyagi has performed over 4000 neurosurgeries in his illustrious career, and has a special focus on anterior cervical, lumbar microsurgical discectomy, clipping of aneurysm, excision of AVM malformation and craniovertebral junction surgeries. He holds expertise in the surgeries for brain tumor, skull base tumor, and functional stereotactic radiosurgery along with epilepsy surgeries, Spinal instrumentation. 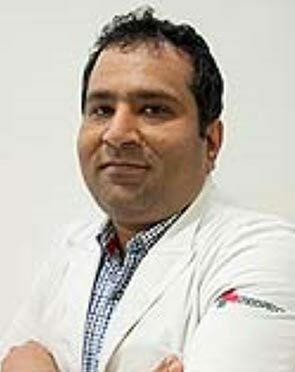 Dr. S K Tyagi, to his credit, is the first surgeon in India to use Image Fusion technique to localize the targets in the deep part of brain to perform functional stereotactic surgeries. 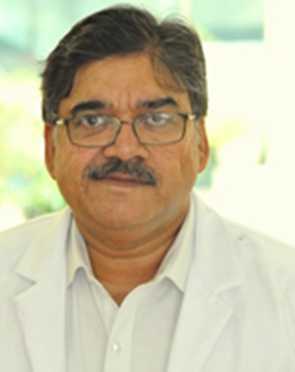 Further to his list of accomplishments, he started functional stereotactic surgery programme at Apollo Hospital, New Delhi and specializes in Frameless Stereotactic Navigation in the cases of epilepsy, caused by small lesions in the brain. 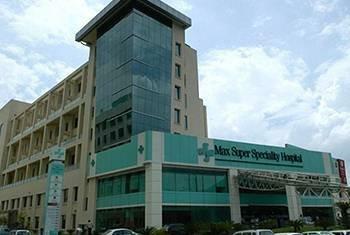 Dr. Vikas Gupta is a Director and HOD of Neurosurgery at the BLK Super Speciality Hospital, New Delhi. 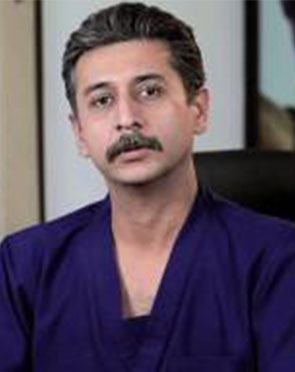 His educational qualifications include an MBBS and an MS in General Surgery from the DMC Ludhiana & Punjab University, Chandigarh; a MCh in Neurosurgery from the G B Pant Hospital & MAMC, Delhi University; and a Fellowship in Interventional Neuro- Radiology from the Institute of Neuro-radiology, University of Hospital, Zurich, Switzerland. In 18 years of medical practice, Dr. Gupta has developed special interest in Endovascularneurosurgery/InterventionalNeuro-Radiology, Cerebrovascular surgery, Minimal invasive spine surgery and spine reconstructions, spine deformity, Neuro oncology. 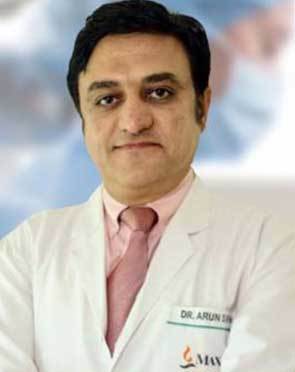 Dr. Arun Saroha is a leading Neurosurgeon and Top Craniotomy Surgeon in India, with more than a decade's experience in the field. Dr. Saroha has successfully performed thousands (around 6,000) of Neurosurgeries (Brain & Spine) on patients from all over the world. He is highly skilled in performing a number of complex and advanced brain & spine surgeries including Minimally Invasive Spine surgeries, Complex Spine Surgeries, Disc Replacement, Brain Tumors, Transnasal Surgery. He is recognized as an expert in treating Brain and Spine disorders like Degenerative Spine Disorder, Brain Tumors, Disc Replacements, Pediatric Neurosurgery and many more. Dr. Saroha is one of the best Neurosurgeon surgeons in India and have worked in top hospitals to provide foremost medical care to the patients suffering from neurological disorders. 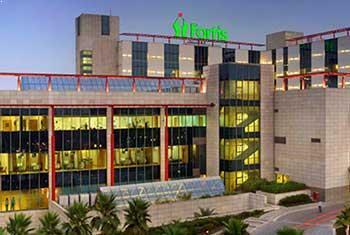 Recognized as "Best Spine Surgeon" by BIG RESEARCH AWARDS at New Delhi, India - 2013. Been a Faculty for training in Neurosurgeons at Al Kindi University, Baghdad - 2012. 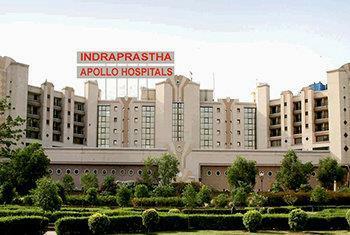 Awarded as " Best Resident for Critical Care in Neurosurgery at PGIMER", Chandigarh, India in the year 2002. Received Best Scientific Paper Award on "Brain Tumor Research" at NSICON - 2003. Been a Faculty at ASSICON, New Delhi, India. Received Best Scientific Paper award at IASO Conference - 1996. 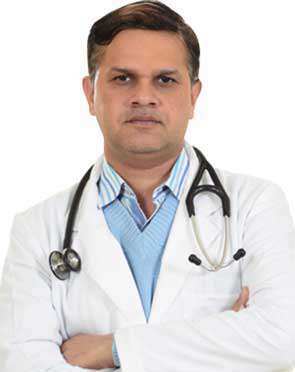 Dr. S K Rajan is a highly accomplished and internationally renowned Neurosurgeon and spine surgeon in India, with over 17 years of professional medical experience. He is an exceedingly qualified and trained in advanced courses from premier national and international institution. 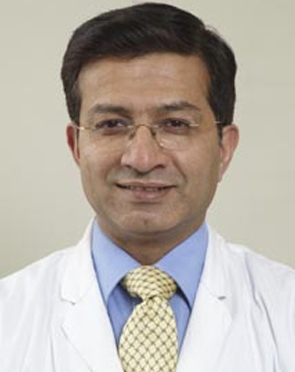 Dr. Rajan is AO International certified in spine surgery and has a global reputation in the area of Spine surgery, having worked with some of the greatest leaders of the field. 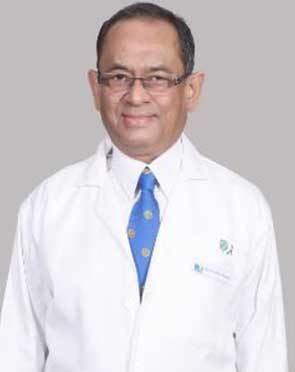 He, in his illustrious career, has performed over 3000 neurosurgeries and spine surgeries including open as well as minimally invasive spine surgeries including Fusions and Motion Preservation Surgeries and treatment for a variety of congenital, degenerative, scoliotic (deformity), traumatic and infective problems of the whole spine. 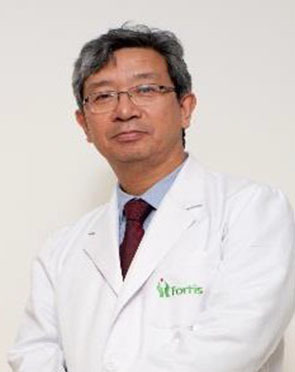 He is a pioneer on special treatment for complex spinal disorders especially of the Craniovertebral Junction (upper neck) and Lumbosacral Junction (lower back) and interventions such as artificial disc surgery and dynamic lumbar implant placement. Also, he holds expertise in Minimally Invasive Key Hole Spine Surgery Techniques for spine cases like slipped disc, Lumbar Canal Stenosis, Spinal Tumors and many others. Dr. Madhusudan H V is a leading Neurosurgeon with expertise in not only brain and spine procedures but also in Neuro Oncology. In his illustrious career of over 22 years, he has performed over 7000 neurosurgeries with excellent results. 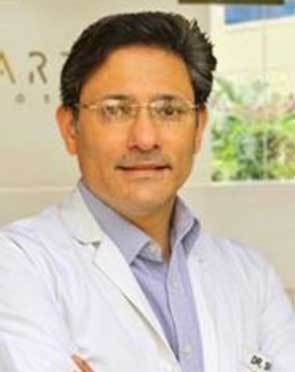 He has attained his medical qualifications and fellowships from prestigious institutions and is skilled in various advanced procedures, including Radiosurgery (Gamma Knife), Minimal access neurosurgery, micro neurosurgery, endoscopic neurosurgery and frameless navigation, and other spinal surgeries. Dr. Madhusudan is a leading Neurosurgeon and the first to perform the lumbar disc replacement and the Interspinous device implantation in Karnataka (2006). He also played a key role in establishing the Department of Neurosciences at Narayana Hrudalaya, Bangalore. Recipient of the prestigious Indira Gandhi Priyadarshini Award at New Delhi. Awarded the Parimala Award for his outstanding work and contribution in the field of Neuroscience by Justice Venkatachala at Bangalore. Dr. (Prof.) Deepu Banerji is a prominent Neurosurgeon with 32 years of extensive experience in the field of medicine and surgery. He is one of the top Minimal Invasive Neurosurgeon in the region backed medical education and training from renowned national and international institutes. In his vast medical career, he has been a part of over 8,000 neurological and many others including minimal invasive and microscopic procedures. He has also been teaching faculty in premier medical institutes of the nation. Being a leader that he is, Dr. Banerji established a neurosurgery center named Foundation in International Education in International Surgery (FIENS) at the National Neurosciences Centre, Kolkata. 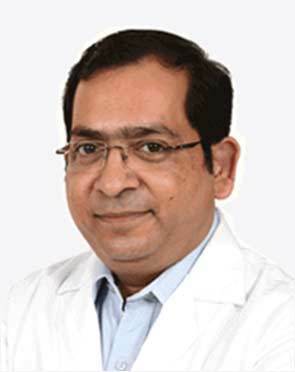 Dr. V P Singh is an acclaimed and renowned Neurosurgeon in India with three decades of professional experience in the surgical field.He is a proficient and highly skilled surgeon, having performed surgery for 400 intracranial aneurysms cases and many other complex and advanced procedures in his medical career. 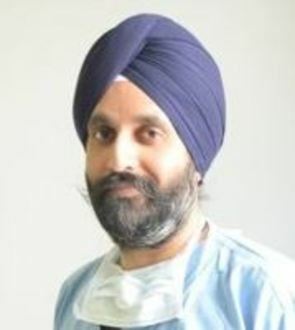 Dr. Singh holds special interest in brain tumor surgery, cerebrovascular surgery, epilepsy surgery and radiosurgery besides treatment of arteriovenous malformations by radiosurgery techniques. He is a pioneer and expert in the field of Neurosurgery, having started the Gamma Knife Radiosurgery and Epilepsy Surgery at AIIMS, New Delhi. He is a highly qualified surgeon with medical qualification from premier intuition like AIIMS and has trained in cerebrovascular surgery at Newcastle upon Tyne and radiosurgery at Royal Hallamshire Hospital, Sheffield, UK. He has published and authored over 70 papers and chapters in well-recognized journals and books. Dr. Praveen K S is a highly skilled and accomplished Neurosurgeon with over a decade of professional experience in the field of Neurosurgery. He is a leading surgeon and has attained his medical degree and training from renowned medical institutes with gold medals and top marks. He has been associated with premier hospitals in India and has accumulated immense knowledge and experience from these healthcare centers. He is a sought-after name in the healthcare industry, having performed over 4000 neurological surgeries including treatment for brain and spinal tumors, complex head injuries and procedures like microsurgical clipping of aneurysms, microdiscectomy for lumbar and cervical spine. In his years at NIMHANS for M.Ch. Neurosurgery, he has operated on cases of neurotrauma, surface tumors, spinal degenerative conditions, spinal tumors, and conducted 600 operations during this time. 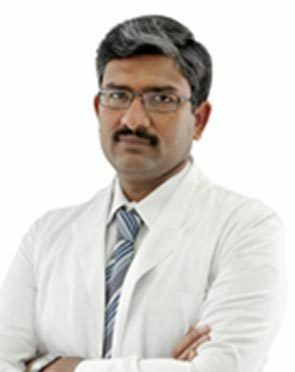 Dr. Praveen holds expertise and keen interest in Pediatric Neurosurgery, brain and spinal disorders in children, and has worked on procedures like CV junction fusions, aneurysm clippings, deep seated glioma resections and complex spine instrumentation. The Hydrocephalus doctor typically first sees the results of the tests ordered to assess the overall health of the patient. Based on the initial assessment, the doctor would prepare a treatment plan tailored according to the individualized needs of the patients. The treatment plan for Hydrocephalus, its alternative options, the pros and cons associated with each option and the treatment cost is thoroughly discussed with the patient to seek their approval. Once the patient gives his or her consent, the Hydrocephalus surgeon addresses his team members and shares the details of the case with them. The team members prepare for Hydrocephalus and share a scheduled date of the procedure with the patient. The patient is advised to follow a few instructions as given by the Hydrocephalus surgeon. In addition, the Hydrocephalus hospital initiates the formalities and informs the patient about the estimated cost. The patient is accordingly required to submit documents for any insurance claim approval. What is the Hydrocephalus surgeon responsible for? The surgeon is responsible for the preoperative diagnosis of the Hydrocephalus patient, for performing the operation, and for providing the patient with postoperative surgical care and treatment. The surgeon is worked as the leader of the Hydrocephalus surgical team.